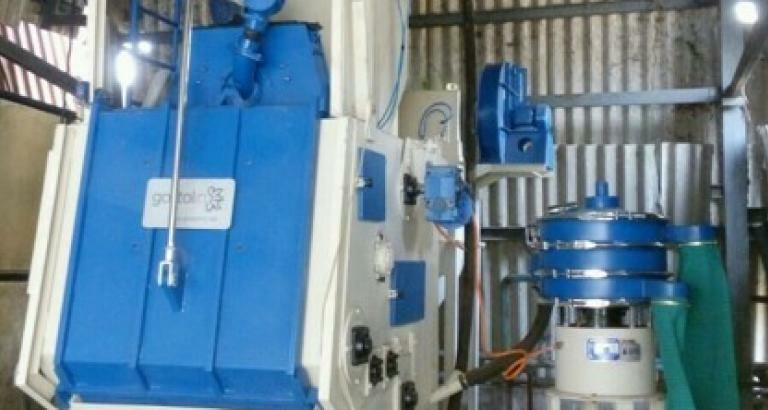 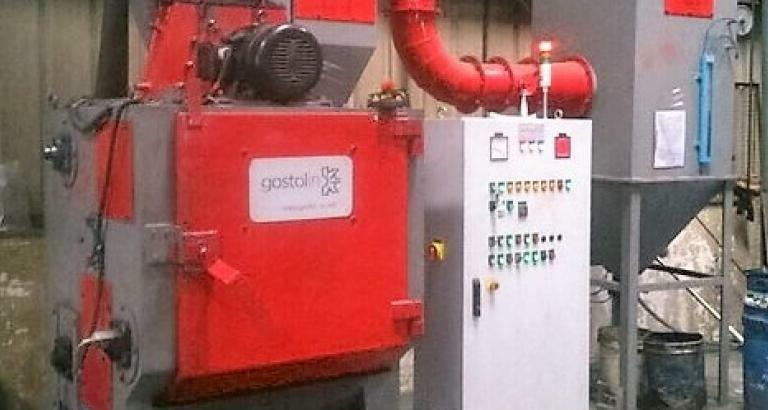 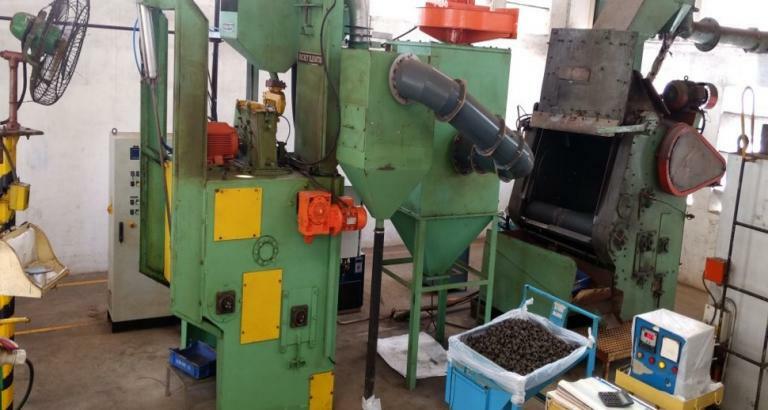 Tumble blast machine with rubber belt is designed to process mass-produced parts in batches. 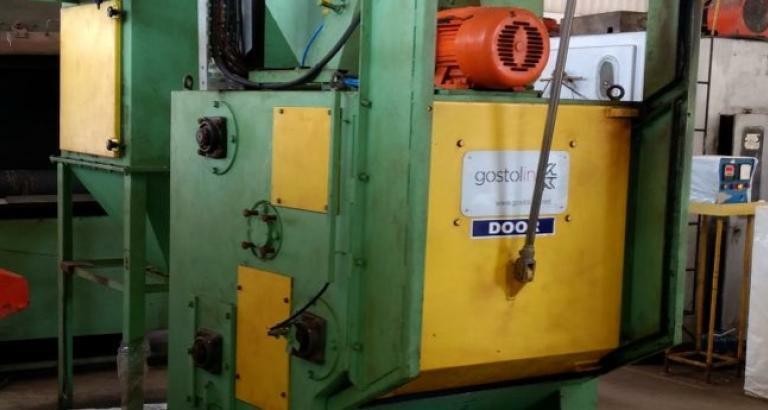 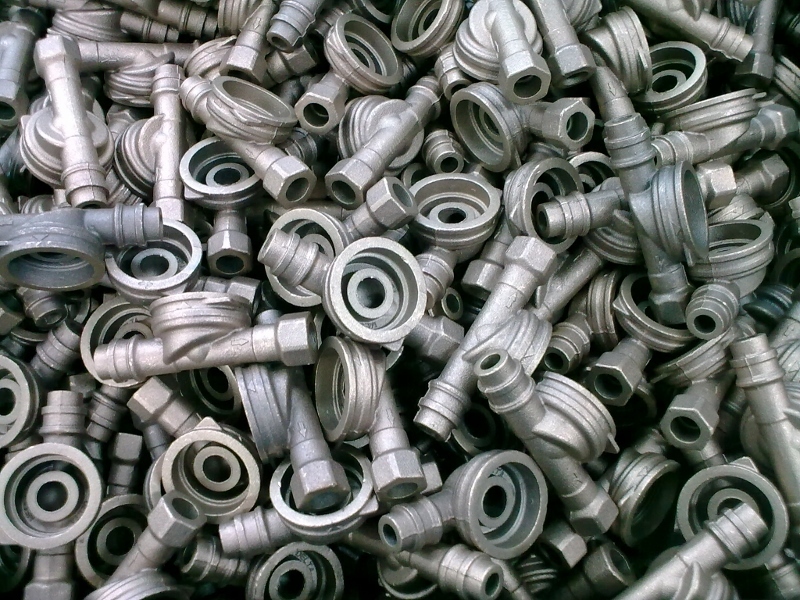 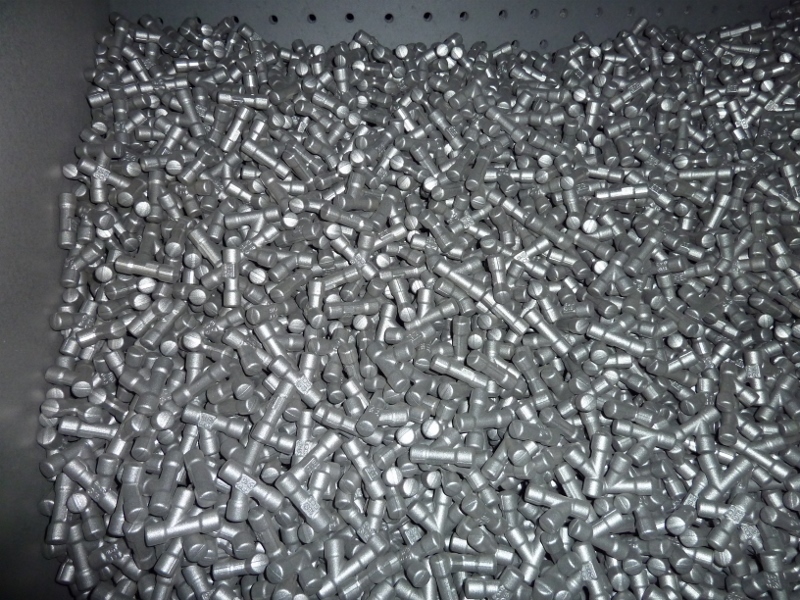 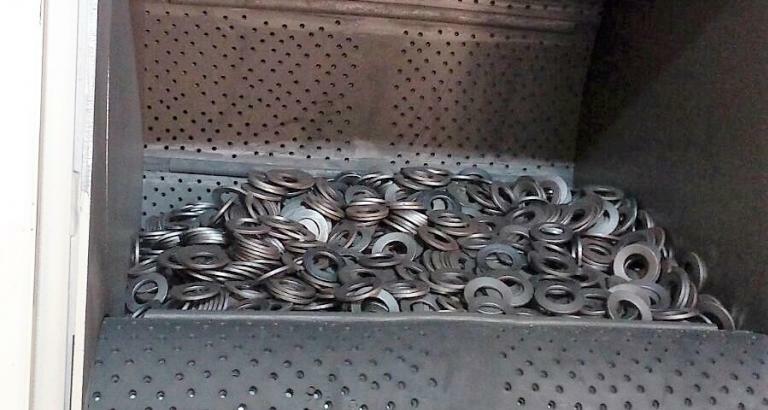 Parts can be ferrous and non-ferrous castings, forgings and heat treated parts.This type of machine is ideal for decoring, descaling, deflashing, deburring, and shot peening parts. 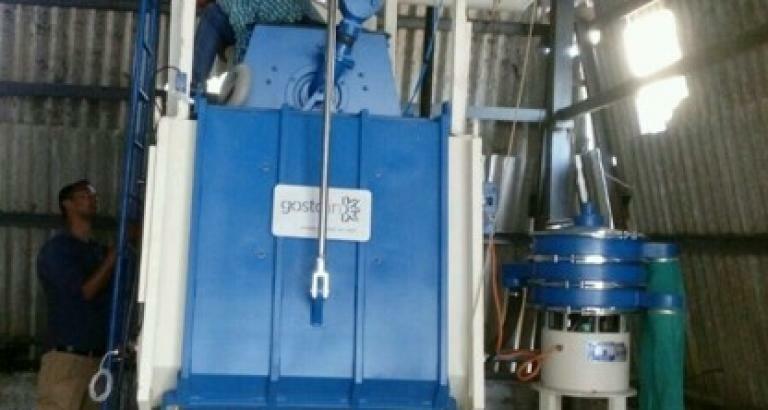 Tumble blast machines are available in five different sizes, and can accept single load from 65 kg (42 l) to 1,000 kg (500 l). 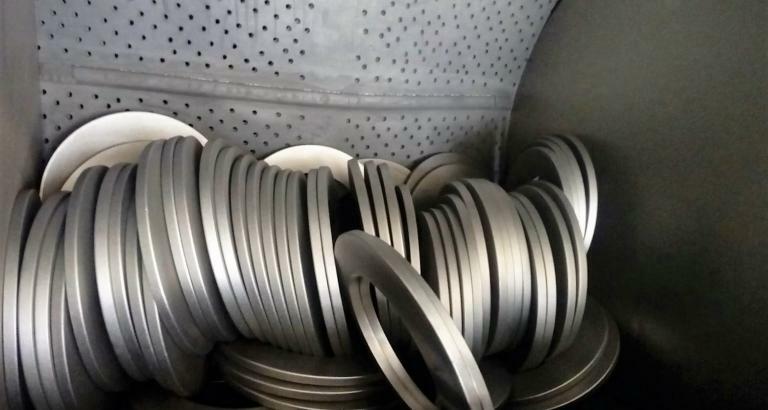 The endless belt is made of rubber. 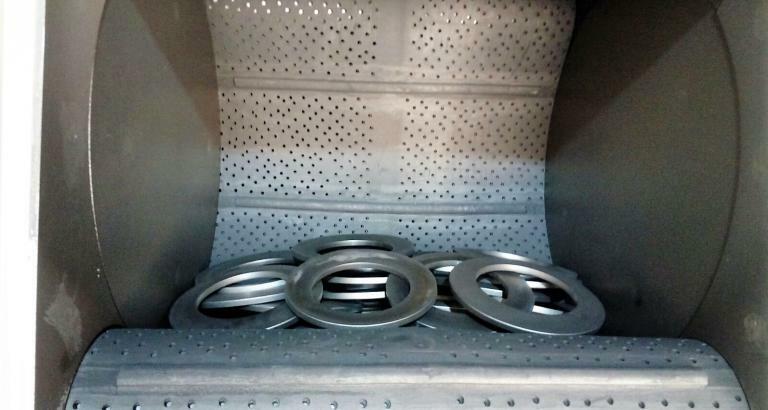 During the blasting process treated objects turn and roll, which causes quality blasting of the whole surface of work pieces. 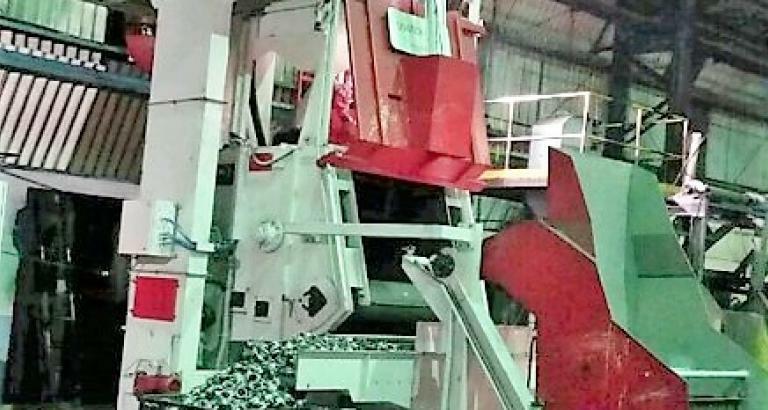 Tumble blast machine can be equipped with hydraulic loader and can be integrated to a fully automatic process. 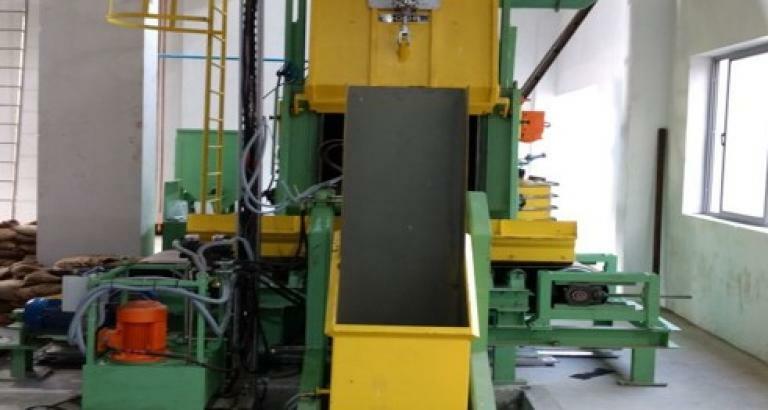 To empty the blasting machine, the belt rotation is switched in the opposite direction turning mode. 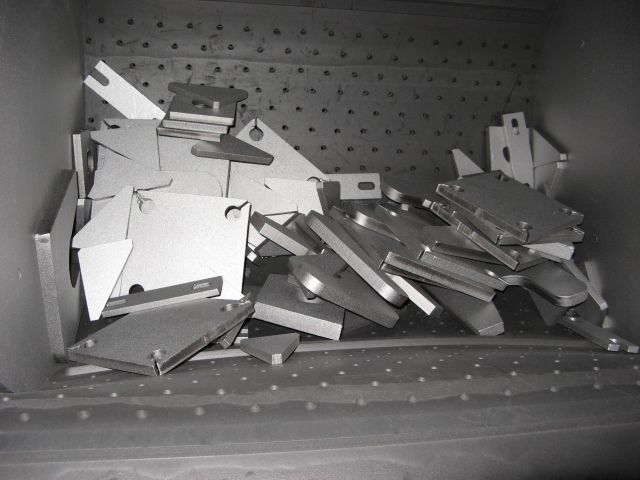 Work pieces fall onto vibratory or belt conveyor and are transported to the next operation. 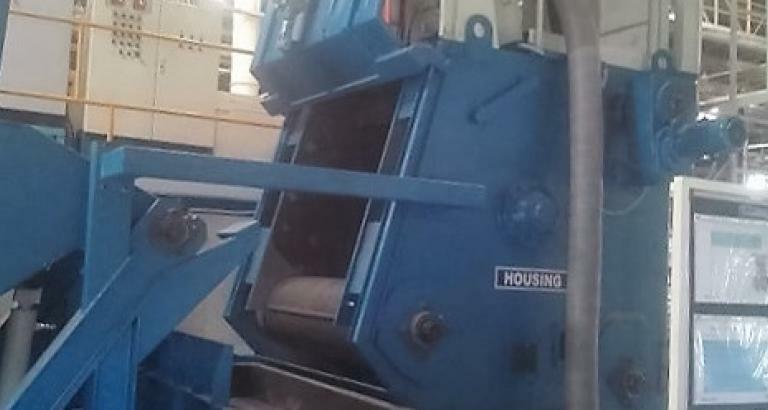 Blasting machine’s housing is protected by wear-resistant manganese steel liners. 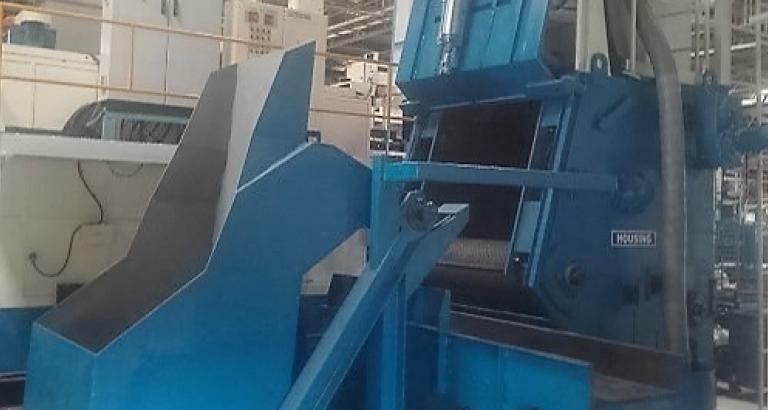 Tumble belt machine can be equipped with variable frequency drive for the blasting wheels. 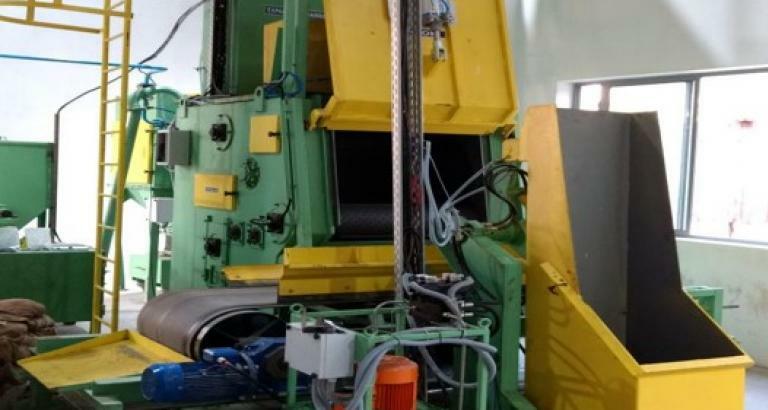 Tumble blast machines are high efficient as they have efficient blasting wheels and abrasive handling and reclamations system for continued returning and cleaning of abrasive.